Big news, everyone! After hours of trying to do super technological things and failing quite often, I believe I have finally succeeding in putting together my own self-hosted blog site! Make sure you add that new address to your favorite blog reader, update it in your favorites, or whatever you need to do :) This Google Blogger site will remain active for awhile so if you do end up here somehow (like by searching some of the random phrases that have brought people to this site) and you want to see my newest content, just head on over to the new blog site! I transferred all of the posts from this blog to that site, so you should be able to find all my old content there as well, but I have noticed a few of the posts have formatting issues with spacing, bolding, etc. Hopefully most are OK! If anyone notices any kinks to work out or has any suggestions for the new site, please let me know! My email is csmithrunblog@gmail.com. I hope you all enjoy the new site!! So the week wasn't very impressive, but I have to say that at least Tuesday and Friday's run were a good pace! 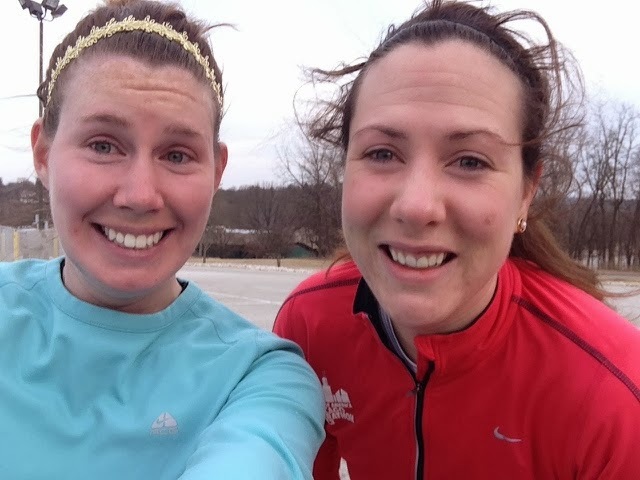 When I got to St. Louis on Friday, Angela and I went for a run at Queeny Park. She told me it was a super hilly park and it was exactly that. The loop we did was just over 4 miles and it was rough. Most of the first mile was flat, except for one huge uphill. Right when we got to the top, the Garmin buzzed that we did that first mile in 7:45. We were both shocked because it felt very relaxed (except for when we had to power up the big hill). The 2nd and 3rd miles were a combo of both up and down - 7:35 and 7:44. Then the 4th mile was mostly flat, and we took it nice and relaxed at 8:01. I was beat by this time and glad I didn't throw up my lunch because we ate only an hour before! All in all, I think the total mileage for the month was OK. It's definitely not where I want to be, but when I compare to previous Februaries, it looks pretty strong. Given the fact that the entire month was basically on the treadmill, I guess I really can't ask for much more. I can't really guarantee that this is 100% accurate because I know I fell off logging my runs a few random periods at a time, but I would say this is probably accurate for February mileage. I know for sure I logged my runs consistently in 2013 and that's the year I really want to compare to now! 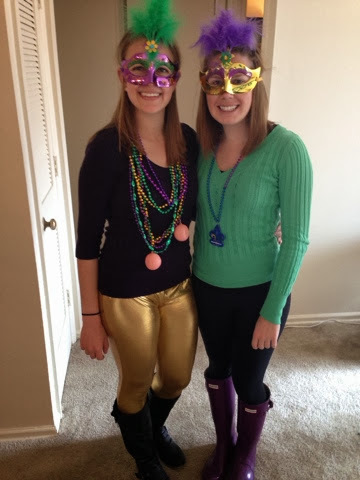 Mardi Gras in St. Louis! St. Louis has the 2nd biggest Mardi Gras celebration, behind New Orleans of course. Liz and I started our morning with a trip to Starbucks and the grocery store for bagels (and to get cash back so we'd have money for the day). Around 9:30am, the drinking games started and the rest of the day was probably the most fun I've had in a really long time! Sunday was a day of recovery and the weather in St. Louis was perfect for staying inside. We did get out for lunch though at a cute little restaurant called Winslow's Home. I'm also really hoping to have my new blog up and running this week so stay tuned for that! 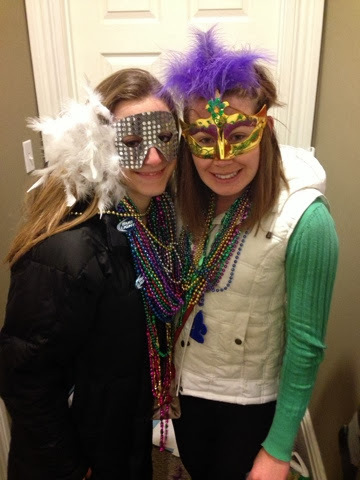 Did you/are you celebrating Mardi Gras or Fat Tuesday this weekend/today? 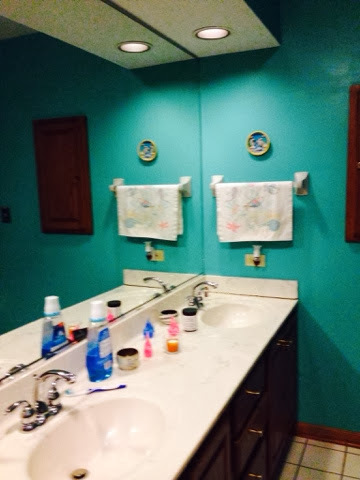 Since it's Friday and I like Fridays to be as fun as possible (and because I didn't run yesterday so I don't have any workout to tell you about), I want to take this time to show you one of my recent projects - redecorating a bathroom! 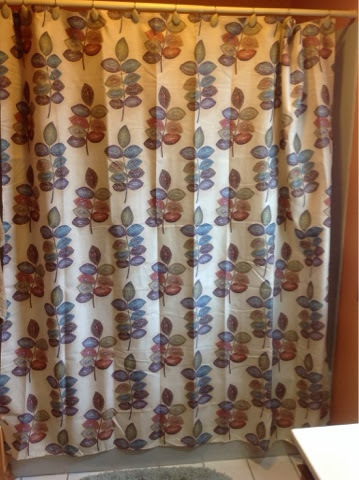 I came up with the idea to redecorate the "kids' bathroom" at my parents' house as a Christmas present for them. 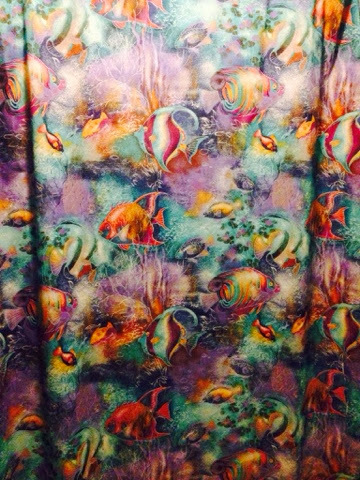 The bathroom was super 90's, decorated with a lot of fish decor, and very child-like. Now that we are all adults (legally, at least), I thought it would be good to update. And it's a small room, so how hard could it be? I went to Bed, Bath & Beyond and picked out a new shower curtain, towels, garbage can, and Kleenex holder. After much debate on the paint color, I settled on a tan (which actually came out a little more orange-y) and scheduled a time to paint with my brother when we knew our parents wouldn't be home. Unfortunately, my mom came home earlier than expected that night, so it wasn't as much of a surprise as I had hoped it would be. We didn't do anything to the existing fixtures because that is a little beyond my skill/knowledge level. And I wouldn't want to spend all that money on their house without my mom giving some input. The tan/orange is still bright like the teal was, but I do think it matches the wood better. 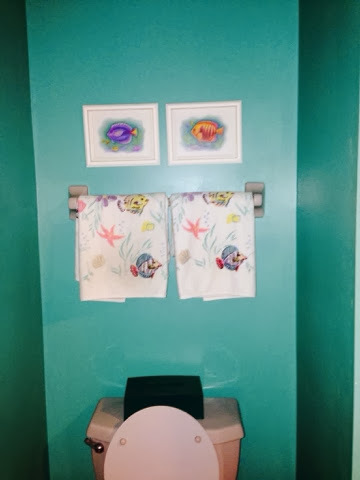 Mom made a point though that it doesn't match the gray toilet as much. 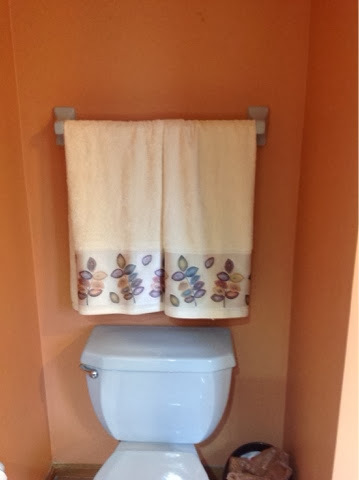 But like most home decor/fixtures from the 90's - the gray toilet needs to go soon too! You can also see the phone jack on the wall in one of the pictures. We plan to take that out as well. In the time of phones with cords, you always had to have one close by, which meant right next to the toilet. Luckily cordless and cell phones solve that problem for us now! I also spent a good chunk of time completely cleaning out the drawers and cabinets in that bathroom. They were filled with random toiletries, razors, toothbrushes, etc. So we bought some drawer liner to put down, cleaned out the clutter, used some handy drawer organizers and now they are like brand new! Have you ever redecorated a room just for a change? What is your best bathroom organization tip? 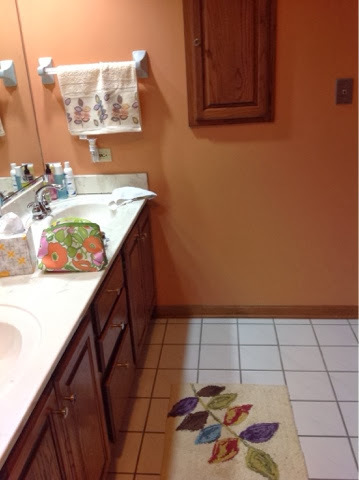 Do/Did you have a phone in your bathroom? Alright everyone, I am hard at work building my new blog website!! I should have a fun Friday post for you tomorrow morning, but after that I'm hoping all future posts starting next week will be on my self-hosted site! I just have a few more kinks to work out. Yesterday's workout was rather weak. I ended up being a little tighter on time than I thought because I needed to get to Walgreens before I went to the gym. And I REALLY didn't want to run. I don't know why I've been in a bad motivational funk this week, but I am. I got on the treadmill and only ended up going 2 miles in 17:10 (average 8:35 pace). My legs were also a little fatigued from Tuesday's faster run. That's really helpful, XSport. 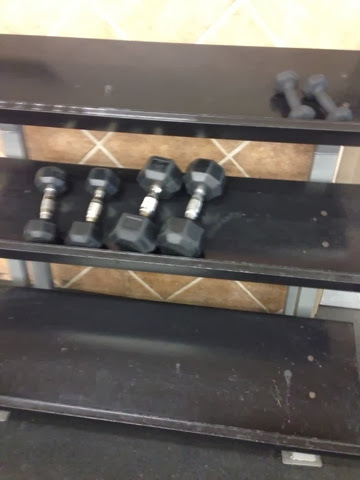 Seriously - where are the other weights?? I didn't see anyone using them or them just lying around somewhere. Those big ones were too heavy for the type of exercises I do and for my strength level. The little ones obviously are way too light. And I was hoping, like Goldilocks and the 3 bears, those other 2 would be juuuuust right. They were an 8 lb. and a 10 lb. 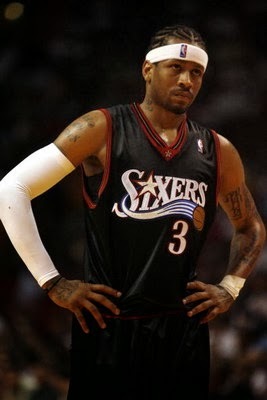 I don't want to get one arm strong than the other...that would look silly. So I went back to my mat and did push-ups, a little more core work, and a lot of stretching. All in all, it was a super easy workout day. This week is definitely not shaping up to be anything special running-wise, but I needed a mental break away from the treadmill for awhile. I'm heading to St. Louis tomorrow morning to celebrate Mardi Gras for the weekend! Angela and I definitely plan to run Friday afternoon...then we'll see how the rest of the weekend goes, but I'm going to guess we won't be doing any more running. In other news, I've been saying for a few weeks now that I need to get better at taking more pictures for my blog. Well, I found just the thing to help me get better at that! 1) Follow ZOOMA and Altra on Instragram and Like ZOOMA and Altra on Facebook. 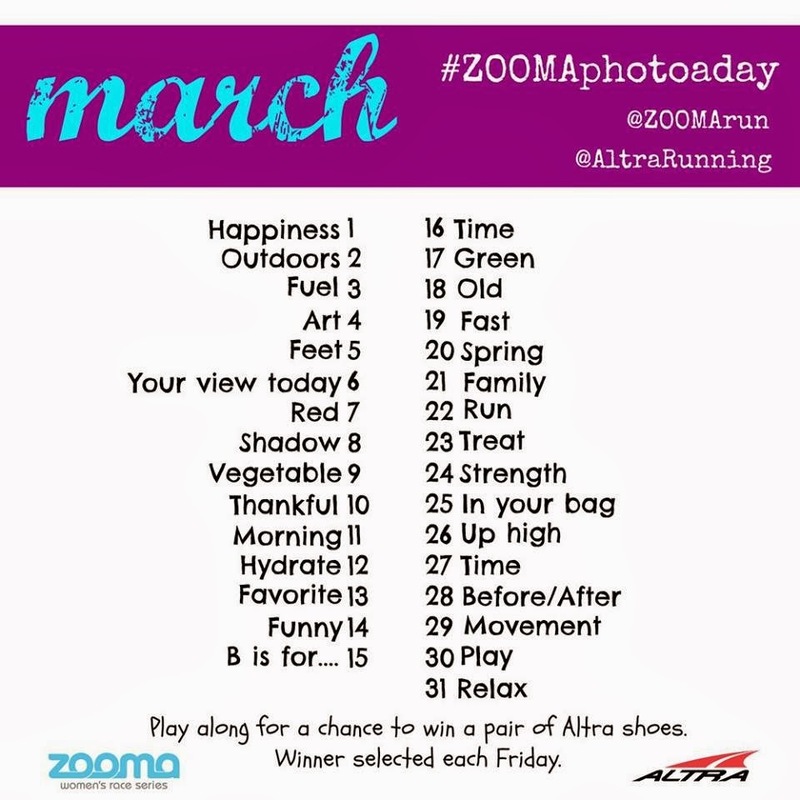 3) Win a pair of Altra shoes! As a reminder, I will be running the ZOOMA Chicago Half Marathon in August and I want you to join me! Use discount code: CAMB9 for 10% off your registration! Does your gym ever disappoint you? Have you ever participated in a photo challenge? I have not, but I am looking forward to doing so! After very little motivation all day yesterday, I finally sucked it up and went for a run in the evening. The temperature showed "feels like 5" but that sounded better to me than the treadmill. I knew it would be getting even colder later in the week, so I might as well try to go outside while it was above zero degrees. I ended up running 4.25 miles in 32:56, for an average pace of 7:46. Mile splits for the first 4 miles were: 7:54, 7:49, 7:44, and 7:38. I would've liked to go about further but it was cold...and my teeth hurt when my mouth was open breathing in cold air. Why was that, you ask? I had a teeth whitening procedure done Monday morning and it HURT! I was unaware that a teeth whitening procedure would be painful, but oh man it was. The entire thing took about 2.5 hours and included 4 2-minute sessions under the light. Right before we started, the dental hygienist explained to me that I would feel what were called "zingers" but it varies from person to person how frequent and intense they are. I'm no dental professional, but the way I understand it, the procedure takes off the top layers of discoloring on your teeth and so they are left extremely sensitive and it gets worse as the procedure goes on. I basically fell asleep during my first 2 20-minute session under the light, but I experienced my 1st zinger towards the end of the 2nd session. The 3rd session was considerably more painful, and then I made it through 10 minutes of the 4th before calling it quits. (It is common that people don't make it all the way through all 4 sessions.) I was not sure I was even going to be able to drive home, the pain in my mouth was so bad. I took some medication and slept away more of the day. If I knew the procedure was going to cause so much pain for the rest of the day, I would've ran beforehand! I even wore my running clothes to the dentist thinking I could go to the Y right afterwards, but that did not happen. I would have fallen off the treadmill if I tried to attempt it. The pain was mostly gone when I woke up yesterday, but not completely. I still had a breakfast of soft foods that I didn't need to bite into (a soft doughy chocolate chip pancake and a cheese omelet). And then when I went for the outdoor run, I could tell the sensitivity was still there when the cold air would touch my teeth. But obviously I couldn't run with my mouth closed! And it wasn't nearly bad enough to make me double over in pain like the previous day. Despite the pain, the teeth look great! Beauty comes at a price. Luckily, this beauty didn't have a financial price for me - my mom won it in a raffle at her Women's Club Fashion Show and gave it to me :) CSmith Be Generous. Have you ever had your teeth whitened? A few weeks ago, I was contacted by a representative from Suddora Sweatbands to try out their product and write a little something on it. Well, I love headbands, so of course I wanted to try. My favorite headbands are the Sweaty Bands (like the glittery blue one Angela and I each wore in the Chicago Marathon), but I have a ton of others too. Anything that will hold my hair back works for me, but I've also found that some headbands are itchy or not tight enough. I requested a blue sweatband (I thought it would go nicely with my Dayton Flyers singlet that I will continue to wear in races) and have worn it to the gym a few times so far. "I wore the headband to my Zumba class - in the past, I have not worn headbands, but once we get moving, I determined a headband would be a good thing to try. Love the colors available (I have purple) and it washed well, looks like new. 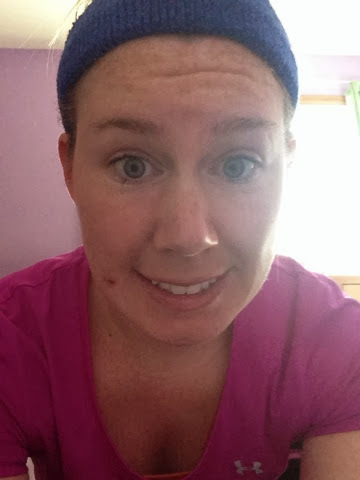 If there was one thing I'd look for different in a sweatband, it would be a thinner size." Well good news: Suddora contacted me again and told me about a new style of headband they have! 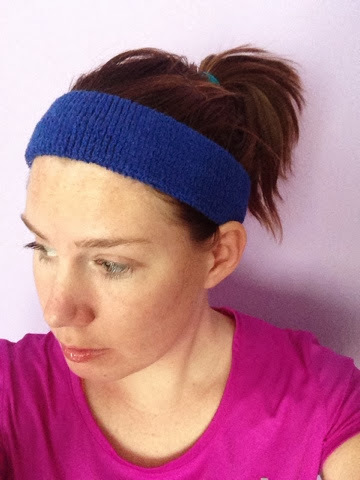 It is a felt headband, very similar to the Sweaty Bands headbands I have - but cheaper. These headbands are available only on their Amazon store (link here) and you can use this discount code for 50% off: SUDDORA5 This promo goes through the end of February so make sure you order yours today! What do you look for in a headband? Have you ever tried a Sweatband? So total mileage for the week was nothing special...definitely not up to where I want to be. But I do think I more quality miles in there than I previously have. And I suppose that's better because my next race distance is 5 miles, followed a week later by 6-7 miles in a marathon relay. I'm not training for a marathon right now. I am however, going to run a half marathon in late April or early May (not sure which one yet! ), so I do need to be getting in higher mileage for that. Friday - I ran 5.5 miles in 45: 35 for 8:17 average pace/mile on the treadmill at the Y. Nothing special really. I was planning to go for 8-10 miles, but I just couldn't stand the treadmill anymore. That thing is killing me now. 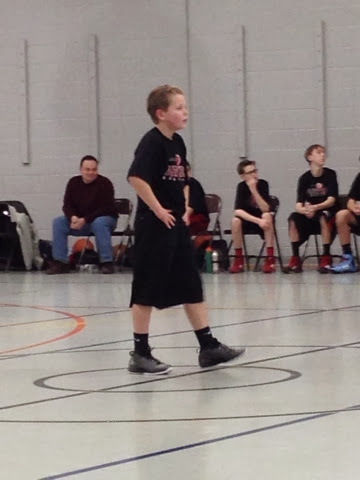 Ryan had basketball games on both Saturday and Sunday and won both of them! I forgot how entertaining grade school basketball is. It's so much better than watching college or NBA basketball. Saturday night, Shannon's high school track team had time trials and parents were invited to a meeting and to watch the time time trials. Since this is right up my alley, I tagged along with Shannon as her parent for the night. She did the pole vault, recording a tie with her personal record of 7 feet. 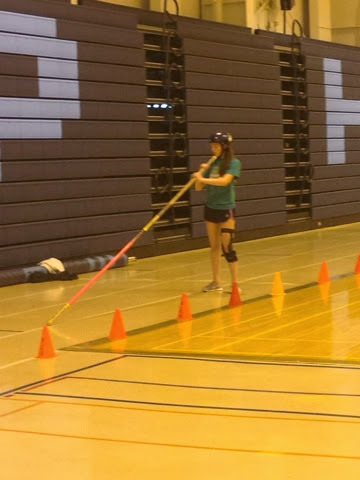 Shannon missed all of outdoor season last year due to a surgery so I'm sure she will improve quite a bit this year! She also ran the 400 and won her heat! Other than that we did a lot of bumming around, watching movies & sports, and eating pizza, Thin Mints, Cheez-Its, and Portillo's. What is the best part about your Monday? What is your favorite track event?